When the Volvo 343 was presented in the winter of 1976, it was the first totally new car from the Dutch company Volvo Car BV. The Volvo 343 entered a very important segment for the European markets – the compact segment. The Volvo 343 was a 3-door hatchback and the large tailgate at the rear ended in a small spoiler. The car was relatively roomy and also had a good, flexible luggage compartment. From the beginning, the car was only available with a 1.4-litre engine and continuously variable automatic transmission. It was rear-wheel-driven and had its gearbox at the rear next to the differential to guarantee good weight distribution. The rear-wheel suspension was a De Dion system. During its lifetime, the Volvo 343 underwent a number of changes in terms of appearance, engine and gearbox. The largest change in its appearance took place in the autumn of 1981 and included a new front and a new interior. Read the rest of this story on Cartype. Published on March 12, 2010 4:01 pm. Spyker chief Victor Muller (the new Saab owner) wants to start his new work with an entry level Saab hatchback. The Project 92 should be a kind of Mini, Audi A1 Mito fighter. the car`s name will probably be the 9-1. The car will have some elements of the original “ursaab”, the 92, but it will be more modern. Larson‘s view of this rumored vehicle is illustrated below. Read the rest of this story on Cartype. Saab 9-1 Hatchback concept by Larson. Published on March 9, 2010 6:59 pm. 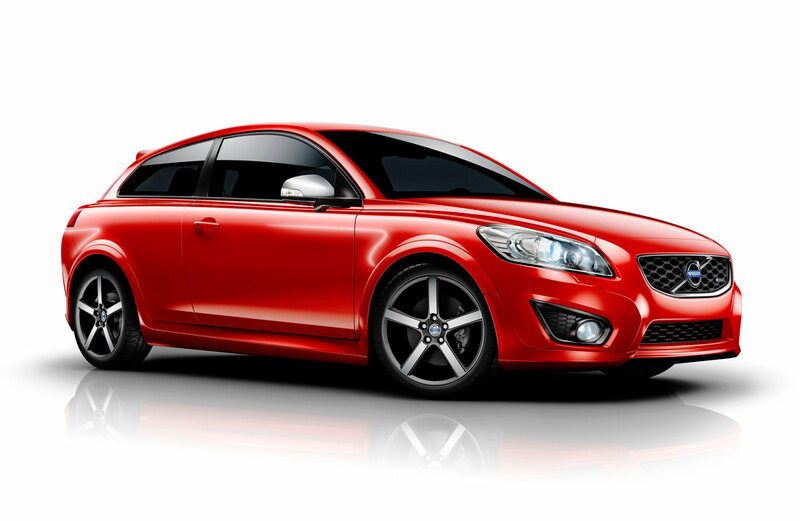 The Volvo C30 R-Design is the nearest thing to a dedicated sports car in the Volvo model range. The new chassis is considerably sharper, with stiffer, more distinct properties. And the exclusive extra equipment gives the C30 R-Design just the right attitude. The biggest changes in the new Volvo C30 R-Design, which make its debut at the Frankfurt Motor Show in mid-September, are actually hidden beneath the skin. Despite the car’s extrovert body kit and design cues. Because it is the chassis and the steering that have been the main focus of attention. All with the aim of creating a sporty driving experience and a sophisticated feeling of comfort to match the very best. “The new R-Design chassis builds further on the success of the sport chassis introduced in the Volvo S80 earlier in 2009. Although the actual properties differ between these two car categories, we’ve had plenty of good experience on which to build further in the Volvo C30,” says Stefan Sällqvist, manager Vehicle Dynamics at Volvo Cars. Read the rest of this story on Cartype. Published on March 4, 2010 9:28 pm. 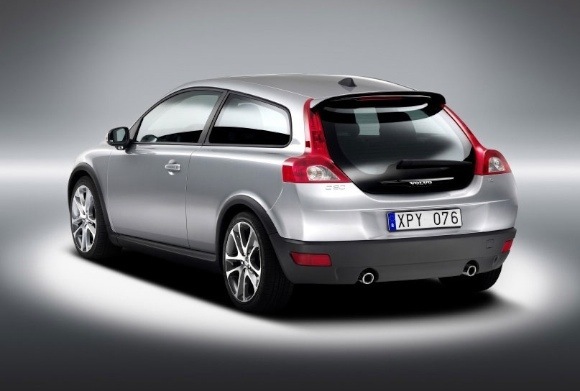 The new Volvo C30 will be unveiled for the public at the Paris Motor Show in September, and production will begin at the end of 2006. Here are the first photos of one of the year’s most talked about debutants, the new Volvo C30. A sporty design, two doors, four individual seats, and a glass tailgate give the C30 a unique character that will attract new Volvo buyers. Read the rest of this story on Cartype. Published on March 3, 2010 10:54 pm. The new e-tron model series from Audi will gain another new member at the Geneva Motor Show: The Audi A1 e-tron is a Mega City Vehicle (MCV) with an innovative drive technology. It comes equipped with a powerful electric motor for zero-emission driving in the city. There is also an internal combustion engine on board that recharges the battery in exceptional circumstances. 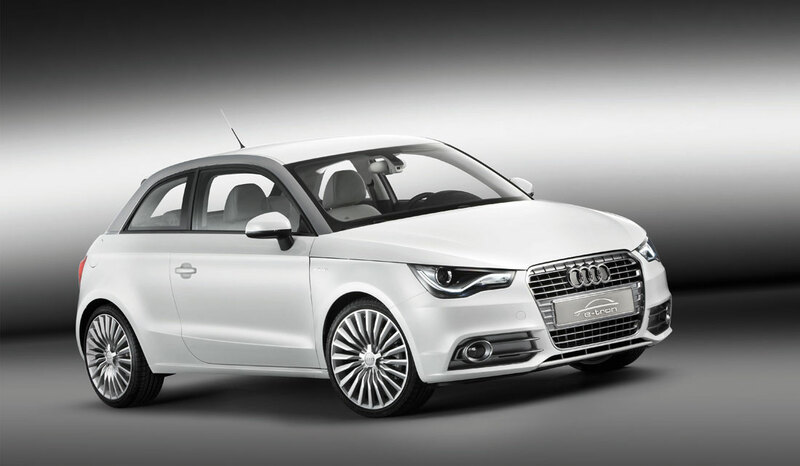 The A1 e-tron is very agile thanks to the 75 kW (102 hp) peak power of its electric motor. Read the rest of this story on Cartype. Published on March 2, 2010 6:30 pm. The all-new 2011 Honda CR-Z sport hybrid coupe, made its U.S. production debut at the 2010 North American International Auto Show in Detroit, and introduces sleek styling and sporty handling to the hybrid segment. Set to go on sale late summer in the U.S., the CR-Z is powered by a 1.5-liter i-VTEC engine with Honda’s compact and lightweight Integrated Motor Assist (IMA) hybrid-electric system. The two-passenger CR-Z introduces a new three-mode drive system that allows the driver to select between Sport, Econ (Economy) and Normal driving modes. Read the rest of this story on Cartype. 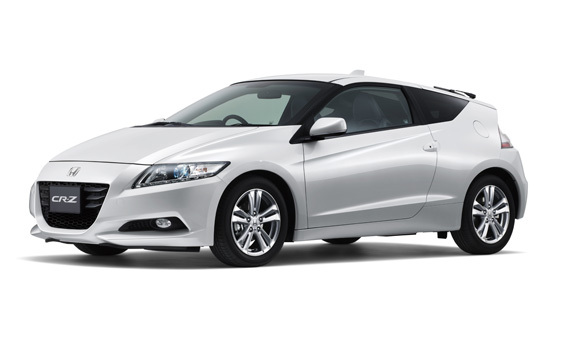 2011 Honda CR-Z Sport Hybrid Coupe. Published on February 27, 2010 9:39 am. 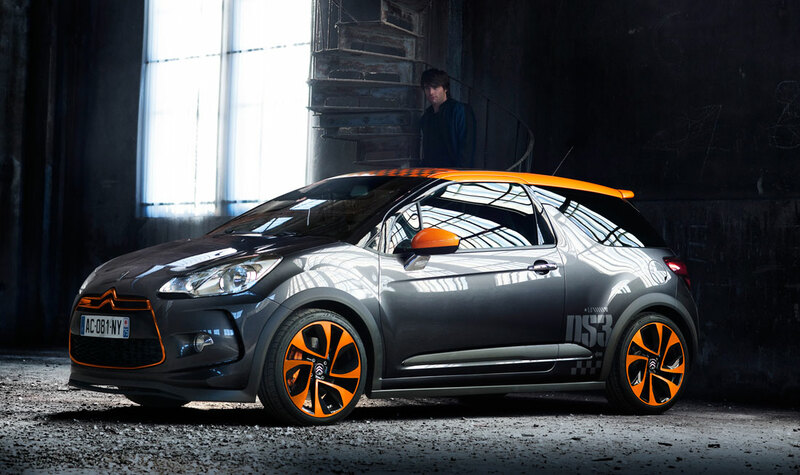 Citroën is unleashing a hot new DS3 at the Geneva Motor Show – the limited edition 200hp DS3 Racing. Developed by Citroën Racing – the winning team behind five WRC manufacturer’s titles and six driver’s titles for Sébastien Loeb and Daniel Elena – DS3 Racing is a special edition with a 100% sporting pedigree. Planned for the second half of 2010, the exclusive DS3 Racing will be limited to just 1000 production units. Read the rest of this story on Cartype. 2010 Citroen DS3 Racing "DS3" logo. Published on February 27, 2010 9:31 am. 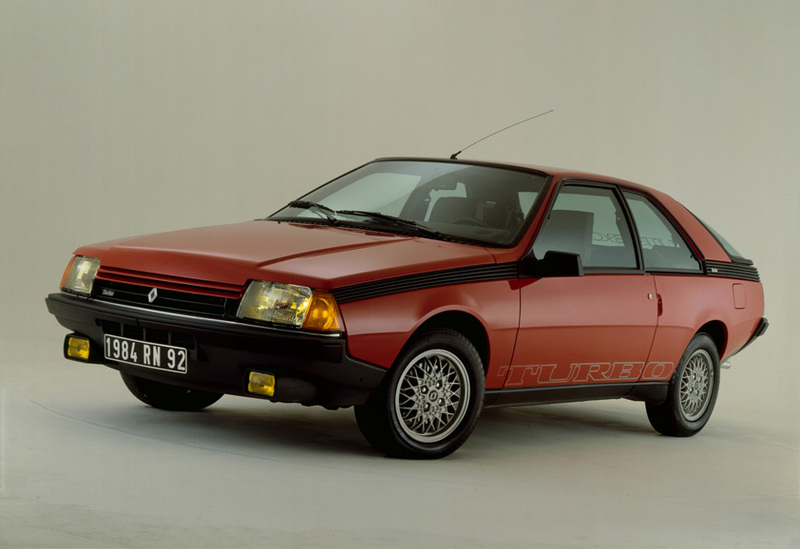 The Renault Fuego is a four-seater, three-door hatchback produced by French automaker Renault from 1980 to 1992. Read the rest of this story on Cartype. Published on February 22, 2010 12:05 am. Originally homologated for FIA World Rallye, the Renault R5 Turbo was a very competitive car and much sought after in Europe. However, the U.S. Department of Transportation would not officially allow it to be distributed among the existing Renault franchise dealerships in the United States. Read the rest of this story on Cartype. 1984 Renault R5 Turbo II logo. Published on February 21, 2010 11:35 pm. 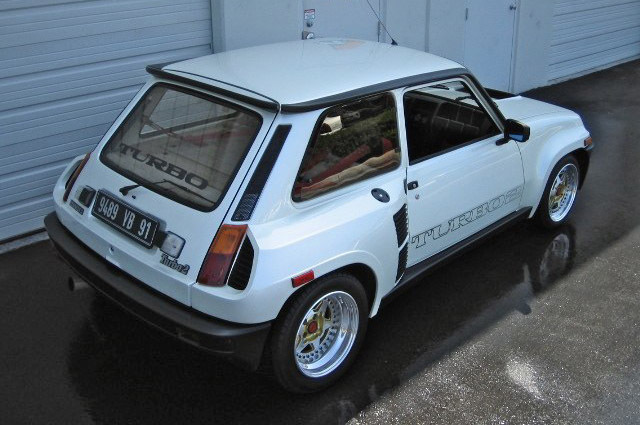 A classic and often hated hatch. The Gremlin from AMC might just be old enough to become desirable. Read more on this vehicle at Cartype. 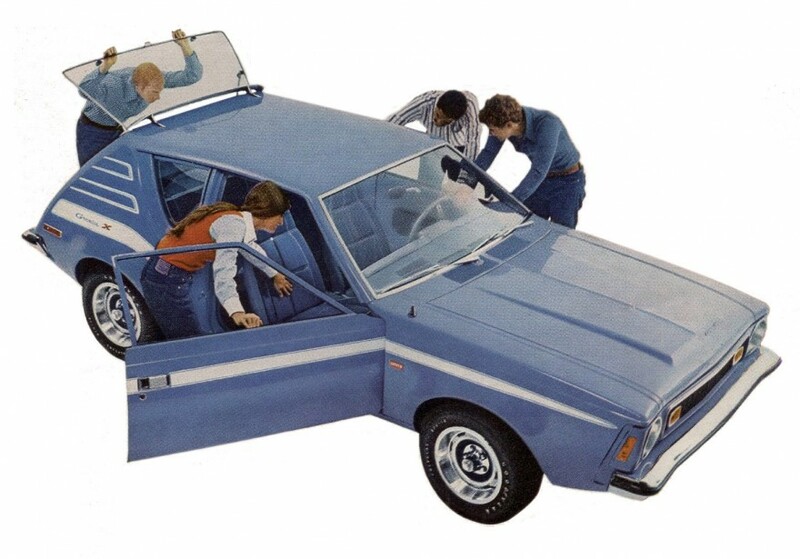 1970 Gremlin, from a February 12, 1970 AMC press release. 1971 AMC Gremlin X ad. Published on February 21, 2010 10:16 pm. Wolfsburg / Geneva, February 19, 2010. The Polo GTI is back. A powerful 132 kW / 180 PS comeback! This GTI lives up to its legendary name: Superior handling properties unified with uncompromising engine dynamics and a maximum of safety. The list of high-tech features runs through the new Polo GTI like a common theme. Take the engine: This Polo is powered by a new 1.4-litre TSI with petrol direct injection plus turbo- and supercharging. Textbook downsizing. Power is transferred to the front wheels via a 7-speed DSG, which is standard equipment. An electronic transverse differential lock (XDS) reduces the tendency to understeer and especially improves handling in quick driving through curves. Equipped in this way, the Polo GTI – available in a three-door and a five-door version – is extremely agile and super efficient underway: Weighing 1,194 kg, the Polo GTI accelerates to 100 km/h in just 6.9 seconds and reaches a top speed of 229 km/h. At the same time, it is the most fuel efficient and lowest emitting GTI of all times. Combined fuel consumption: just 5.9 litres per 100 kilometres. That is equivalent to CO2 emissions of just 139 g/km. By comparison: Its direct predecessor with regard to power – also equipped with a 180 PS 1.8-litre turbo engine – consumed 7.9 litres per 100 kilometres (equivalent to 188 g/km CO2). This means that the new car is 25 percent more fuel efficient. That’s real progress. The GTI is also the first Polo to be available with bi-xenon headlights including cornering light, LED daytime running light and corner marker light as well as a panoramic tilt/slide sunroof. TSI drive: More power by engine charging. 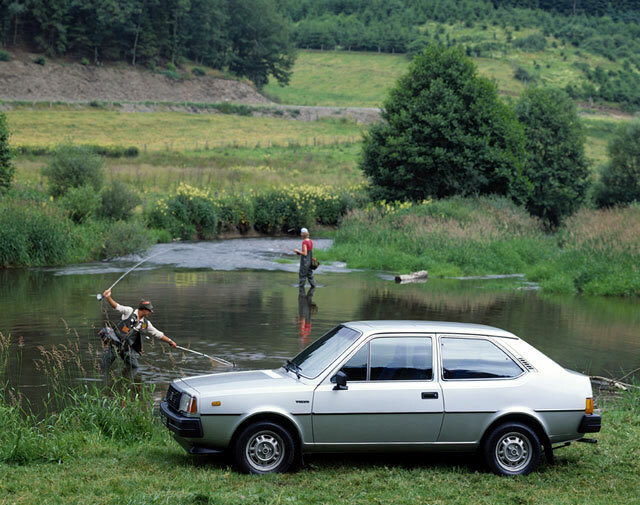 The tradition of the sporty top Polo model versions reaches back nearly a quarter of a century and is based on the legendary Polo Coupé G40 from 1986. As the first car ever to be equipped with a mechanical G-charger – it re-defined the vehicle dynamic limits in this segment. Its engine had a power of 83 kW / 113 PS and made the Polo G40, which in top condition today is a coveted collector’s item, nearly 200 km/h fast. In contrast, the predecessor of the new Polo GTI first switched over to turbo technology in the year 2006. 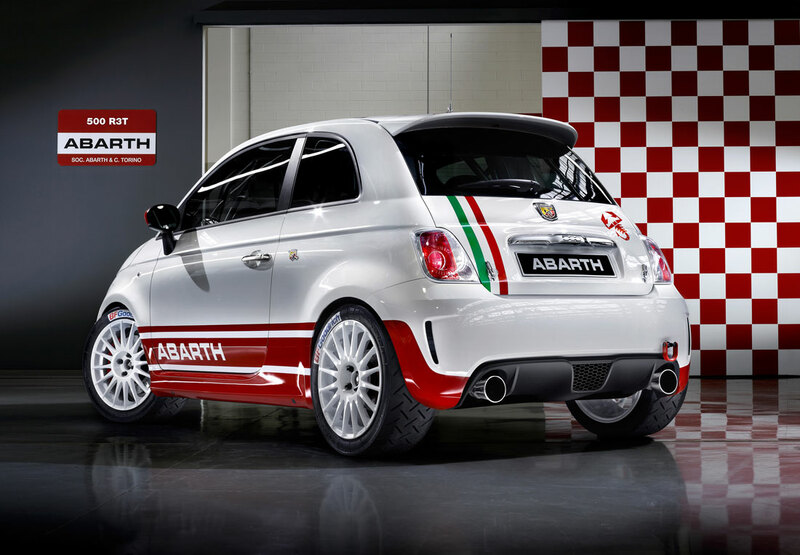 Its base version had a power of 110 kW / 150 PS; the legendary Cup Edition then took this figure up to 180 PS. Back to the future: At the end of May, the first new Polo GTIs will appear in Germany, and will then progressively be introduced across Europe and in Japan. The combination of direct injection, supercharger and turbocharger under one engine bonnet will generate plenty of excitement in this segment. The 180 PS Euro-5 16-valve four-cylinder engine reaches its maximum power at 6,200 rpm. Its maximum torque of 250 Newton-metres is also impressive for an engine of this size. It is already there from 2,000 rpm and stays at a constantly high level up to 4,500 rpm. These numbers highlight the fact that very torque-strong and rpm-loving 1.4 TSI has an easy game of it with the Polo GTI. It breathes a rare level of agility into the quick front-wheel drive car in all of life’s situations and at all engine speeds. DSG transmission: Extremely efficient, extremely sporty. Having a positive effect on this dynamic is the standard 7-speed DSG. The direct shift gearbox unifies the sports appeal and economy of a manual gearbox with the operating convenience of an automatic. As an alternative to the fully-automatic mode, the DSG may also be shifted manually – either by gearshift lever via the Tiptronic shift gate or via the standard shift paddle on the steering wheel. Sport chassis: 15 millimetres lower and 17-inch tires. The top performing variant in the Polo model range is a thoroughly sporty and safe car. Among the systems responsible for this is the GTI sport chassis including ESP and the XDS electronic transverse differential lock. It ensures that the Polo GTI’s power is cleanly transferred to the road, even in tight serpentine curves. The running gear is based on the fundamental layout of a McPherson front suspension and semi-independent rear suspension combined with exceptionally dynamic tuning. New, stiffer dampers are linked to specially modified springs that lower the ride height by 15 millimetres compared to “Normal versions”. The effect: lower angles of body roll and a lower centre of gravity. Both have positive effects vehicle dynamics through curves. Serving the same purpose are the low-profile tyres (215/40 R17 87V) on alloy wheels in GTI-typical 5-hole “Denver” styling (7Jx17), whose look the new top Polo shares with the Golf GTI. Perfectly regulated: ESP plus XDS sets the direction. When it comes to safety, the Polo GTI is fully equipped right from the factory, e.g. with generously dimensioned brakes and the standard ESP stabilisation program. Networked with this are numerous other electronic modules such as the anti-lock braking (ABS), hill hold control, anti-slip regulation (ASR), engine drag torque control (MSR) and electronic differential locks (EDS). Tyre pressure is also sensed by the standard tyre pressure monitoring system (TPMS). A modern extension of familiar EDS functions is the XDS electronic transverse differential lock, like the one Volkswagen presented for the first time on the Golf GTI. XDS improves handling through fast curves and calibrates the car to be more “neutral”, since it prevents slip of the unloaded wheel at the inside of the curve by active brake intervention, improving traction. This system, standard equipment on the Polo GTI, accesses existing sensor data such as steering wheel angle, yaw rate and wheel speeds. The effect: more safety and driving fun, because the Polo GTI steers even more precisely with XDS. GTI features: Sporty and legendary. The new top model in the Polo range is easy to recognize as a GTI at first glance – inside and outside. It openly displays the visual insignia of this unique badge. 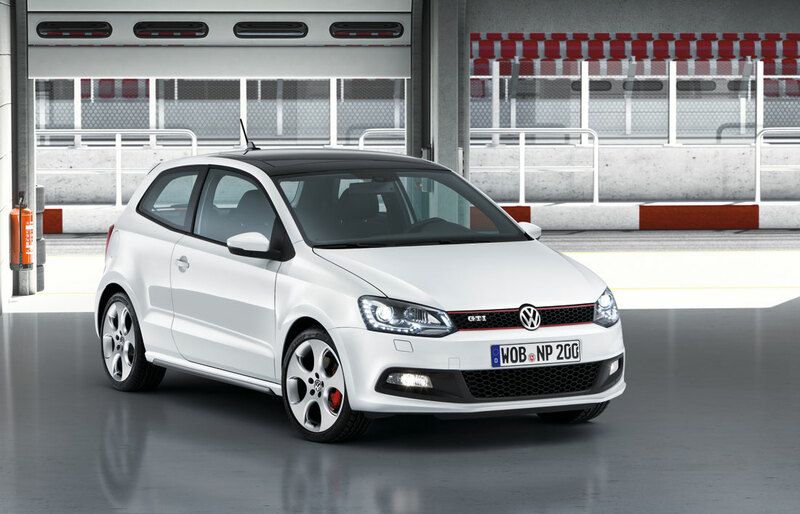 Exterior: Here the sportiest Polo stands out from the crowd with the two classic red trim strips on its radiator grille. From its role model – the larger Golf GTI – it has adopted the honeycomb structure of the air inlets inserts in the uniquely styled front apron. Also GTI-specific are the fender flares and the rear spoiler painted in body colour. Other exterior details of the Polo GTI include the already mentioned 17-inch alloy wheels in “Denver” styling that offer a clear view of the red painted brake callipers, as well as a customised rear apron with a diffuser look in its lower section. Integrated on the left side are the chrome dual tailpipes of the exhaust system. Two other features are available as options for the first time on the new Polo GTI in this model series: the electrically operated panoramic tilt/slide sunroof extending back to the B-pillars, and the completely new layout of the bi-xenon headlights. As mentioned previously, also integrated in the dual headlights were the LED daytime running lights, corner marker lights and cornering lights. Interior: Here too the 180-PS Polo impresses with genuine GTI ambiance. This is already achieved by the standard top sport seats with their classic fabric covers in typical diamond pattern, which stylishly recall the first GTIs of the 1970s. The roof liner, roof pillar trim, grab handles and sun visors are all styled in a sporty black; a glossy black surface treatment also decorates the panels of the centre console. They are coordinated with intentionally contrasting colour and material accents such as brushed chrome for the air vent surrounds and chrome accents for the round control knobs. Also completely styled in this brushed chrome look are the inside door handles, frames for the gearshift lever and parking brake, the DSG gearshift gate and the three spokes of the leather sport steering wheel. Styled in classic red are the distinctive decorative seams on the gearshift boot, parking brake grip and steering wheel. Moreover, the extensive list of standard features emphasise that sportiness and comfort are not incompatible concepts in the new Polo GTI. Along with the features already mentioned, they also include pedal caps in aluminium look, electric window lifts in front (three-door) and rear (five-door), electric adjusting and heated door mirrors, air conditioning, RF remote control of central locking and front fog lights. The leather trimmed steering wheel is equipped with two DSG paddles, one on the left and one on the right. Then there is of course a passive safety package with driver and front passenger airbags, head-thorax side airbags and belt tensioners in front, as well as Isofix points on the rear bench seat for suitably fitted child seats – features that make this Volkswagen not only the best and most fuel efficient Polo GTI since the model series was begun, but also the safest. 2010 Volkswagen Polo GTi interior. See more on this car at Cartype. Published on February 19, 2010 4:18 pm. Sports car has international debut at the Nürburgring. There could not be a better time or place for a world premiere: parallel to the start of the 24-hour race at the Nürburgring, Volkswagen is presenting the new Scirocco R for the first time anywhere. A sports car without compromise and a race track that demands everything of the driver will be meeting together this weekend. Approximately one year after the market launch of the third Scirocco generation, Volkswagen is presenting the most powerful series built Scirocco ever made at the Nürburgring. Its charged four-cylinder 2.0 l TSI is impressive with an output of 195 kW / 265 PS and 350 Newton metres of torque – the dynamic effect is just as striking as the running gear which provides optimal traction characteristics thanks to, amongst other things, the new front axle differential lock XDS. The design of the Scirocco R is largely based on the Scirocco GT24, which was designed for motor sports: there are large air intake openings in the front bumper which the engineers used to achieve optimal cooling for the engine and the brakes, and an integrated front spoiler as well as the bi-xenon headlights. At the rear end, the roof edge spoiler, which is much larger than on the standard model, a striking shining black diffuser and the chrome tailpipes of the dual exhaust system dominate the design. The side view of the vehicle is characterised by the powerful sill panels as well as the specially-designed 18″ alloy wheels “Talladega”. 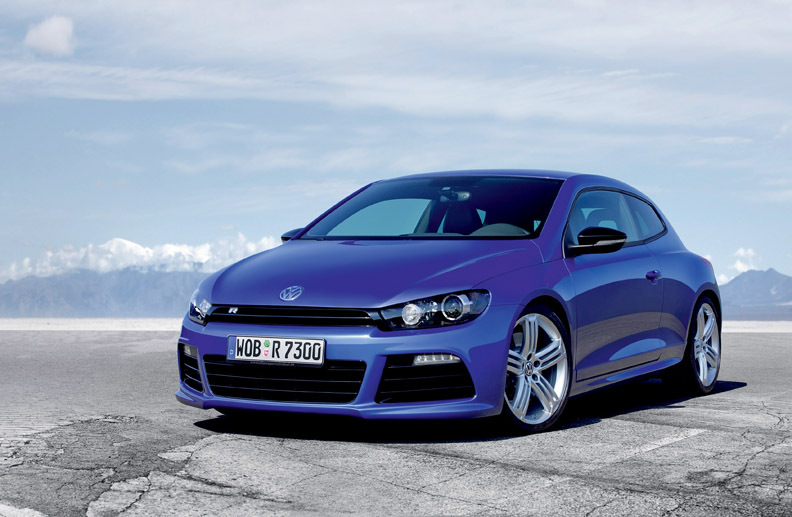 Volkswagen will demonstrate the potential of the new Scirocco R during the 24- hour race with this racing version. With a total of five Sciroccos, driver teams including Dr Ulrich Hackenberg, member of the Volkswagen board of management for technical development, the rally world champion Carlos Sainz as well as this year’s Dakar winner Giniel de Villiers, will be at the start line. 2010 Volkswagen Scirocco R emblem. 2010 Volkswagen Scirocco R interior. It's pretty Obvious what the Volkswagen logo is (a V over a W in a blue background, sorounded by a circle). It's origin is rather mundane though. The logo was the result of an office competition to see come up with a logo. The winner of the competition (who won 50 Marks for his troubles) was an engineer named Franz Reimspiess (the same man who perfected the engine for the Beetle in the 1930's). Published on February 13, 2010 4:23 pm. Alfa Romeo, always a byword for sophisticated engineering and high-performance engines, proudly presents the revolutionary MultiAir system, developed and patented by FPT – Fiat Powertrain Technologies. The head of this revolutionary family is the MultiAir 1.4 engine, which makes its global debut on the Alfa Romeo MiTo model and is offered with 3 different power levels (105 hp, 135 hp and 170 hp), all Euro 5-ready. 2010 Alfa Romeo MiTo 1.4 MultiAir. At launch, the first two MultiAir power units fitted to the Alfa Romeo MiTo are the 135 hp 1.4 and the 105 hp 1.4, available across the current range. This will be followed by the 170 hp 1.4 MultiAir TBi, which will complete the Alfa Romeo MiTo petrol engine range and be available on the brand new and unique Quadrifoglio Verde model. This broad product range will enable the MiTo to meet the needs of a growing and increasingly savvy public, who are rewarding the Alfa Romeo city car with excellent sales figures. The 135 hp 1.4 TBi guarantees the Alfa Romeo MiTo all the performance and temperament of a sporty, well-balanced car designed for customers who are concerned about driveability and good fuel economy. The torque delivery of the 135 hp engine is optimum under all conditions and ensures outstanding pick-up performance and vigorous thrust at all revs, setting a new benchmark for petrol engines. The new 135 hp power unit’s top speed and acceleration from 0 to 100 km/h are at the very top of the city car category. This brand new engine, designed to work in conjunction with the Alfa DNA system, allows the excellent dynamic attributes of the Alfa MiTo to be exploited to the full. This makes long trips pleasant and comfortable, but also guarantees plenty of thrills on more demanding stretches of road, the natural terrain of any Alfa Romeo, due to the well-balanced weight/power ratio and excellent responsiveness. Excellent performance is combined with respect for the environment and good fuel economy. This excellence is reflected in particularly low CO2 emissions, equal to 129 g/km, with a combined fuel consumption of just 5.6 litres every 100 km. Balance and temperament are also attributes of the 105 hp 1.4 power unit. This engine sits in the middle of its reference market, where it represents the best choice. The 105 hp MultiAir adheres to Euro 5 regulations and tops its reference market in terms of maximum power and driveability. It also keeps the driver fully involved, making the Alfa MiTo a real star of city traffic, ensuring full safety and easy driving under all conditions. In addition, the MiTo achieves excellent performance through the top-of-the-range 170 hp MultiAir version available on the exclusive Quadrifoglio Verde model. This marks the reappearance of one of the historical symbols most dear to Alfa aficionados throughout the world, who are passionate about the glorious past of a brand that has made racing and motorsport a real trademark. The new MultiAir engines are built in Termoli at the FPT plant. Right from the development stage, they have been designed to further enhance Alfa DNA, the system that allows the personality of the Alfa Romeo MiTo to be adapted to the driver’s needs and to different road conditions. The sporty nature and technological features of these new engines are evident from the characteristic Alfa Romeo sound, which is as engaging when driving quickly as it is relaxing on extra-urban or city journeys. 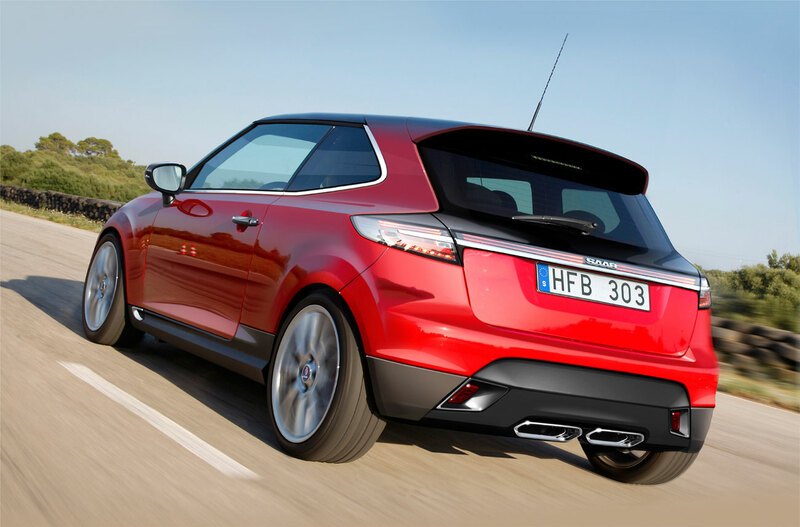 The Start&Stop system, making its debut on an Alfa Romeo, comes as standard with the three MiTo MultiAir petrol engines. It temporarily turns off the engine and then restarts it to ensure reduced fuel consumption and low noise levels in the passenger compartment when the device is at work. In these situations, which are typical of heavy traffic in urban areas and when stopped at traffic lights, when the control strategy permits, the system automatically cuts out the engine in order to reduce fuel consumption and emissions by up to 10% for an urban route and 3.5% over an NEDC-type cycle. Moreover, the Gear Shift Indicator (GSI) linked to the Start&Stop system is a kind of co-pilot that discreetly advises drivers when they should change gear, leading to a more fuel-efficient use of the engine. For example, the GSI may suggest shifting to a higher gear, by means of a signal on the instrument panel, in order to allow the engine to combust a leaner mixture, i.e. containing less fuel, or to change down a gear to make best use of the available torque. The device is permanently active when the Alfa DNA selector is set to “Normal” or “All Weather” in order to ensure a smooth and comfortable drive while also aiming to save fuel and significantly reduce emissions. The introduction of the new MultiAir engines also coincides with a fresh range of colours for the MiTo, a successful model that is already sold in 34 countries throughout the world and five different continents. It can already be ordered in the new metallic shade Tornado Blue, which will complement the already extensive array of exterior colours. The model’s level of engineering can also be appreciated due to a series of improvements that have further increased the quality of the Alfa Romeo MiTo. These improvements affect the interior finishes, couplings, gear manoeuvrability due to shortening the lever to 2.5 centimetres and also the steering and suspension system, which has been recalibrated. To sum up, the Alfa Romeo MiTo offers 2 TDi engines (90 hp 1.3 JTDm and 120 hp 1.6 JTDm) and complements the current petrol engine range (the 78 hp, 120 hp TBi and 155 hp 1.4) with two new MultiAir engines: the 105 hp 1.4 and the 135 hp 1.4 TBi. This model, which is packed full of technology, offers: two configurations (Progression and Distinctive); two special packs available on Distinctive versions, one with a sportier content, the other more geared to comfort; seven different seat trims plus top-quality Pelle Frau leather upholstery in three different shades; two interior colours with Sprint dashboard on the Progression configuration; three interior colours with Competizione dashboard on the Distinctive configuration. Five different alloy wheels are also available (16”, 17’’ and 18”), as well as 10 different bodywork paints that reflect every facet of the new Alfa Romeo’s sporty nature. These are combined with a multitude of taillight and headlight frame colours and finishes: chrome plated, satin, titanium grey or body coloured, offering clients a host of customisation options. All the secrets of MultiAir technology. 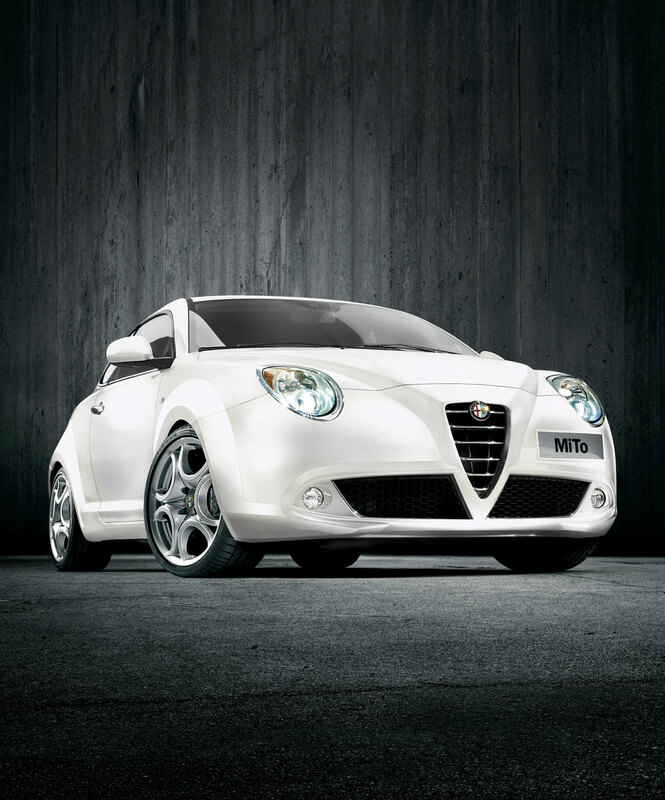 Alfa Romeo proudly introduces MultiAir technology to the world on its latest creation, the Alfa Romeo MiTo. The head of the new family is the MultiAir 1.4 engine, available in three different power levels on the model: 105 hp, 135 hp and 170 hp. This marks a significant generational leap compared to current petrol engines, as occurred in 1997 with the Common Rail technology applied to diesel power units and introduced to the world for the first time on the Alfa Romeo 156. Now the ‘sportiest city car ever’ picks up the baton and marks a true leap forward in technology: the MultiAir system takes the controlled ignition engine to previously unthinkable levels of efficiency. This is achieved due to the principle underpinning this new technology: the possibility of continuously adjusting the main elements that guarantee optimum combustion at any speed and under all driving conditions. In particular, the possibility of managing the opportune moment for opening and closing the intake valve has optimised the engine’s volumetric efficiency, bringing benefits in terms of maximum torque delivery, particularly at low revs: compared with a conventional 120 hp TBi engine, the same engine with MultiAir achieves an increase in maximum power (135 hp) without penalising torque and response at low revs (5,000 rpm). The introduction of MultiAir technology therefore makes the Alfa Romeo MiTo even more agile and nippy due to the power and torque increases possible with the new power units. The engines also ensure a significant reduction in fuel consumption and toxic emissions, with benefits in terms of running costs and respect for the environment. For example, the flexibility and responsiveness guaranteed by the MultiAir system make it possible to manage engine load by means of the intake valves, eliminating the use of the throttle valve to benefit combustion efficiency at partial loads and therefore reduce fuel consumption. Suffice it to say that the same power unit reduces fuel consumption over an NEDC cycle by up to 10% compared with a conventional 120 hp 1.4 TBi engine. The new power units represent a significant point of departure from the current petrol engine scene. For example, compared with a conventional petrol engine of the same capacity, MultiAir provides an increase in power (up to 10%) and torque (up to 15%), in addition to a significant reduction in fuel consumption (up to 10%) and emissions of CO 2 (up to 10%), particulate (up to 40%) and NOx (up to 60%). At the heart of MultiAir is a new electrohydraulic valve management system that allows a reduction in fuel consumption (by controlling air directly via the engine intake valves, without using the throttle) and harmful emissions (via combustion control). As befits a flag-bearer for the downsizing concept, MultiAir is a versatile technology that is easily applied to all petrol engines and may potentially be developed for diesel engines. Load management by means of the intake valves also means that combustion can be optimised even on motorways. The area within which the mixture is made richer has been greatly reduced by exploiting characteristics of the technology: the air-fuel ratio is still stoichiometric at 150 km/h, for example, ensuring a greatly reduced specific consumption. Finally, the new generation of MultiAir engines has been designed to enhance the car setup options available via the Alfa DNA selector to ensure the most effective response to the driver’s expectations and the different road conditions, adjusting its performance via a different torque curve, accelerator sensitivity and overboost management. 2010 Alfa Romeo MiTo 1.4 MultiAir engine. Published on February 12, 2010 10:01 pm. It’s one of my favorite hatchbacks, and this one has the S54 M3 engine with 333hp. The S54 M Coupe. The rarest car BMW has produced in decades. For the USA, there were 2,180 M Coupes built with the S52 motor and 690 with the S54 motor for a total of 2,870 models. There were also 3,448 M Coupes built for non-USA markets. World wide, the grand total is 6,318 units. What makes this car special you ask? Its the fastest car BMW has ever produced (up to that date). Its been called names, and it seems to be the black sheep of the BMW family. It never received a marketing push from BMW, it was relegated to sell itself on its own merrits. Of the 2870 M coupes that were produced from 1998-2002, only 690 were produced with the S54 Engine from the E46 M3. In this much smaller and more agile car, we find it is a brutal combination. The M coupe was designed by a team of engineers in the basement of some hall somewhere in Germany. Its one purpose was to be the track. The design was by engineers, and is free from the quirky and awkward styling of the current range of Bimmers. Form follows function on the M coupe, and because of this its design is at best polarizing among those who actually know what it is. What makes the M coupe unique? 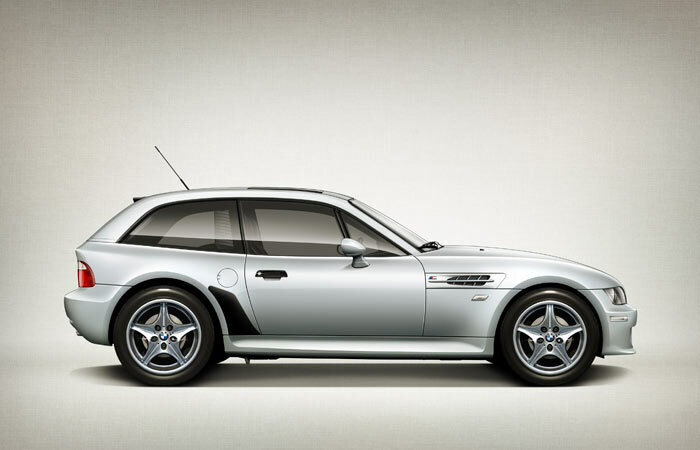 The M coupe is the BMW M-developed version of the Z3 coupe. It uses one of three 24-valve six-cylinder engines originally developed by BMW M for the E36 M3 and E46 M3. It also has an M-tuned chassis and several unique cosmetic parts. Where was the M coupe first introduced? The M coupe was first unveiled at the 1997 Frankfurt motor show, though production did not begin until the following year. Where was the M coupe produced? Like all Z3-based cars, every M coupe was assembled at the Spartanburg, South Carolina factory. The drivetrain was assembled in Germany and mated with the rest of the car at Spartanburg. What’s the story behind the M coupe’s development? The M coupe was developed under the leadership of engineer Burkhard Goschel with the intention of adding increased torsional and structural rigidity to the Z3 roadster’s chassis. The development team had a hard time convincing the Board of Directors to approve the model for production, but it was eventually given the green light as long as it remained cost-effective to produce. To achieve this goal, as many body panels as possible had to be shared with the roadster, thus the doors and everything from the A-pillar forward are interchangeable between the coupe and roadster, as are most interior parts. The Z3 coupe, which mates the M coupe’s body with the standard Z3 drivetrain, chassis and cosmetics was approved for production at the same time. How many versions of the M coupe are there? The original M coupes, with engines from the E36 M3, were built through June of 2000 in three different versions: European-specification (S50 engine) in both left- and right-hand drive, and North American-specification (S52 engine) in left-hand drive. After having been discontinued for more than six months, a revised M coupe entered production in February, 2001. All three versions (European-spec/LHD, European-spec/RHD and North American-spec) utilize the S54 motor from the E46 M3. How many of each version were produced? What changed during the production of the original (S50 and S52-powered) M coupe? Chrome slats added to front “kidney” grilles (4/99 production). Chrome headlight surrounds added (4/99 production). Central locking upgraded to include the fuel door (4/99 production). Airbags upgraded to two-stage “smart” versions (4/99 production). Titanium Silver metallic (354) introduced in place of Arctic Silver metallic (309) (4/99 production). Oxford Green II metallic (430) introduced in place of Boston Green metallic (275) (4/99 production). What changes were made to the M coupe starting with February, 2001 production? More powerful and advanced S54 engine (developed for the E46 M3). 3.15:1 final drive for all markets. Low tire pressure monitoring system. Revised gauges with gray backgrounds. Reshaped rearview mirror with auto-dimming and chrome surround (in some markets). RoadStar alloy wheels with Chrome Shadow finish. Evergreen (358), Dakar Yellow II (337) and Cosmos Black metallic (303) paints discontinued. Laguna Seca Blue (448), Phoenix Yellow metallic (445), Steel Gray metallic (400) and Black Sapphire matallic (475). paints introduced. Evergreen/Black and Kyalami Orange/Black interiors discontinued. Laguna Seca Blue/Black interior introduced. What are the differences between a U.S.-spec M coupe and a Canadian version? Aside from minor changes to the instruments and controls (daytime running lights, metric instrumentation, etc.) and slight differences in equipment (such as optional headlight washers), the Canadian M coupe is identical to the U.S. model. How do the original European-spec and North American-spec M coupes differ mechanically? BMW M developed two versions of the original M coupe, one for the European market (in both left- and right-hand-drive) and one for the North American market. The European-spec model is fitted with the 321-hp (DIN) S50 B32 powerplant, as used in the European version of the E36 M3. North American-spec M coupes utilize the 240-hp (SAE) S52 engine, as found in the North American iteration of the E36 M3. Both versions have identical ZF five-speed manual gearboxes, but the North American version is the only one fitted with BMW’s ASC+T traction control system. Also, the European-spec M coupe is electronically governed to 155 mph, while the North American version is limited to 137 mph. What are the differences between the S50 and S52 engines? The North American-spec powerplant, known as the S52, is based closely on the regular production M52 engine. Like that motor, the S52 is a six-cylinder with a cast iron block, aluminum head and four valves per cylinder, with two-stage VANOS variable valve timing on the intake strokes. Unique to the S52 is a bore of 86.4mm and stroke of 89.6mm for a total displacement of 3,152cc. The engine is rated at 240 hp (SAE) at 6,000rpm and 236 lb/ft of torque at 3,800 rpm. Ported and polished cylinder head. Retuned VANOS variable valve timing for greater high-rpm power. Valve lifters, springs and spring seats with reduced mass. Free-flowing intake and exhaust systems. Individual throttle plates for each cylinder. Increased compression ratio to 11.3:1. Advanced BMW/Siemens MSS50 engine management system able to compute 20 million instructions per second. Double VANOS continuously variable valve timing on both intake and exhaust strokes. What are the differences between the S50 and S54 engines? Increased cylinder bore to 87mm (from 86.1mm) for a new total displacement of 3,246cc (from 3,201cc). High pressure Double VANOS continuously variable valve timing system with faster operation at high rpm. Increased compression to 11.5:1 (from 11.3:1). More advanced BMW/Siemens MSS 54 engine management control. Finger-type rocker arms for reduced reciprocating mass and friction. One-piece aluminum head casting for lighter weight. Scavenging oil pump to maintain pressure during heavy cornering. The S50 B32 unit can be is identified by the “BMW M Power” inscription on its cam cover, while the S54 version contains only the “M” badge. Aside from the S54 engine, how is the drivetrain of the revised M coupe altered? The other major addition to the revised M coupe is an M-tuned version of Dynamic Stability Control (DSC) for all markets. An evolution of Automatic Stability Control plus Traction (ASC+T), DSC compensates for oversteer and understeer through manipulation of each individual brake as determined by sensors measuring steering angle, vehicle speed, cornering force, brake pressure and the vehicle?s rotation around its vertical axis. The system is fully integrated with the BMW/Siemens MSS 54 engine management control, and its intervention can be reduced or completely eliminated via a console-mounted button. How do the revised European-spec and North American-spec M coupes differ mechanically? All of the updated M coupes sold worldwide are powered by the S54 engine, as used in the E46 M3. European-spec versions are rated at 325 hp (DIN), while North American versions produce 315 hp (SAE), which translates to about 320 hp (DIN). The small loss in power can be attributed to the more restrictive placement of the catalysts on North American-spec cars in order to improve cold-start emissions. All S54-powered M coupes have an electronically-limited top speed of 155 mph (earlier M coupes were limited to 137 mph for North America) but only the Euro-spec cars have the two-piece “floating” brake rotors. What kind of gearbox does the M coupe have? All M coupes use the ZF Type C five-speed manual gearbox with the following ratios: 4.21 (1), 2.49 (2), 1.66 (3), 1.24 (4), 1.00 (5). The final drive is either 3.23:1 (S52) or 3.15:1 (S50 and S54). A limited slip differential with a maximum locking of 25 percent is standard. How is the M coupe’s chassis different from that of the standard Z3 coupe? Wider front and rear tracks (by 0.4-inches). Reduced ride height (by 1.1-inches). How much stiffer is the M coupe compared to the M roadster? The M coupe has a static structural stiffness of 16,400 Newton-meters per degree of twist, which is 2.6 times as twist-resistant as the roadster. BMW claims this makes the structural stiffness higher than any other model it has ever produced. Dynamic stiffness is rated at 29.2 Hz, the same as an E36 M3 coupe. How is the M coupe’s chassis different on the S54-powered model? There are no chassis differences between the original M coupe and those with the later S54 engine. What size brakes does the M coupe have? The M coupe adopted the brakes from the contemporary E36 M3, four-wheel vented discs measuring 12.4-inches in the front and 12.3-inches in the rear. In addition, European-spec cars have two-piece “floating” front rotors. Why was the North American market denied the “floating” rotors? The North American market was denied the more efficient two-piece rotors of the Euro-spec M roadster because BMW of North America was concerned that, if not properly maintained, the rotors presented the possibility of failing, thus creating a legal liability. What are the factory wheel and tire sizes? All M coupes use the same size tires (225/45ZR17 in the front and 245/40ZR17 in the rear) and one of two versions of the five-spoke “M RoadStar” alloy wheels. Both styles are sized 7.5×17-inch (front) and 9×17-inch (rear), but on early M coupes (S50 and S52 engines) they have a Chromeline finish, while the later models (S54 engine) utilize a Chrome Shadow finish. What distinguishes an M coupe cosmetically from a normal Z3 coupe? The M coupe is based on the Z3 coupe body, but adds a more aggressive front fascia with brake cooling ducts in place of foglights, unique side gill vents with the M logo, chrome windshield washer nozzles, curved M side-view mirrors, a lower rear bumper with four exposed exhaust tips and a relocated rear license plate (located between the taillights instead of within the bumper). What differentiates the exterior of an S54-powered M coupe from the earlier model? The exterior of the S54-powered M coupe shares all of its body panels with that of the earlier version. Only the curved M badges and RoadStar alloy wheels with Chrome Shadow finish are unique to the newer model. It is also available in several exterior colors shared with the E46 M3: Laguna Seca Blue (448), Steel Gray metallic (400) and Phoenix Yellow metallic (445). How is the North American-spec M coupe cosmetically different from the European version? The North American-spec version of the M coupe is cosmetically very similar to the European version, but can be identified by its amber side marker lights in the front bumper, “free form” headlights in place of the ellipsoid units and twin side-mounted rear license plate illumination lights instead of the single bumper-mounted design. What distinguishes an M coupe’s interior from that of a normal Z3 coupe? The interior of the M coupe features several unique items including a chrome-ringed instrument cluster with red needles and the M logo, three auxiliary chrome-ringed gauges in the center console, power and heated sport seats with special pleated leather trim (monotone black or two-tone), a 375mm three-spoke M steering wheel with tri-color stitching, an illuminated M leather shift knob with the M logo on the shift pattern and a chrome boot surround, an oval-shaped rear-view mirror, leather door pulls and center console trim, chrome inside door handles, and door sill plates with the “M” logo. What differentiates the interior of an S54-powered M coupe from the earlier model? The most significant alteration to the interior of the revised M coupe is the addition of grey-faced gauges. In some markets, there is also a smaller auto-dimming rear-view mirror with chrome surround. Finally, two interior color combinations (Evergreen/Black and Kyalami Orange/Black) are discontinued on the newer model, while the Laguna Seca Blue/Black combination is available. How are the European-spec and North American-spec M coupe interiors different? The interior of all M coupes are essentially identical except for the instruments. In the main cluster, early Euro-spec cars have a 280 kph/170 mph speedometer and a tachometer that reflects the S50 engine’s 7,200-rpm redline, while North American models have a 160-mph/260 kph speedometer and a tachometer with a redline graduated between 6,500 and 7,000 rpm to reflect the S52 engine’s variable redline. In the center console, European models have an outside temperature gauge instead of the voltmeter used in North American editions. The later S54-powered M coupes all have essentially the same grey-faced instruments, including a 280 kph/170 mph speedometer and an outside temperature gauge (Fahrenheit on U.S. models, Celsius for all others). All M coupes sold in North America are equipped with cruise control and the Harmon/Kardon audio system, optional features in some other markets. What are the factory options for the M Coupe? Compared to other M models, there are only slight variations in standard and optional equipment for the M coupe, depending on the market and production date. Because all M coupes have leather upholstery, air conditioning, power seats with two-stage heating and a rear partition net and cargo cover, the list of options is short. In general, it includes cruise control (standard in some markets), a tilting glass moonroof and various audio systems. 2001 BMW M Coupe dimensions. Published on February 12, 2010 9:34 am.